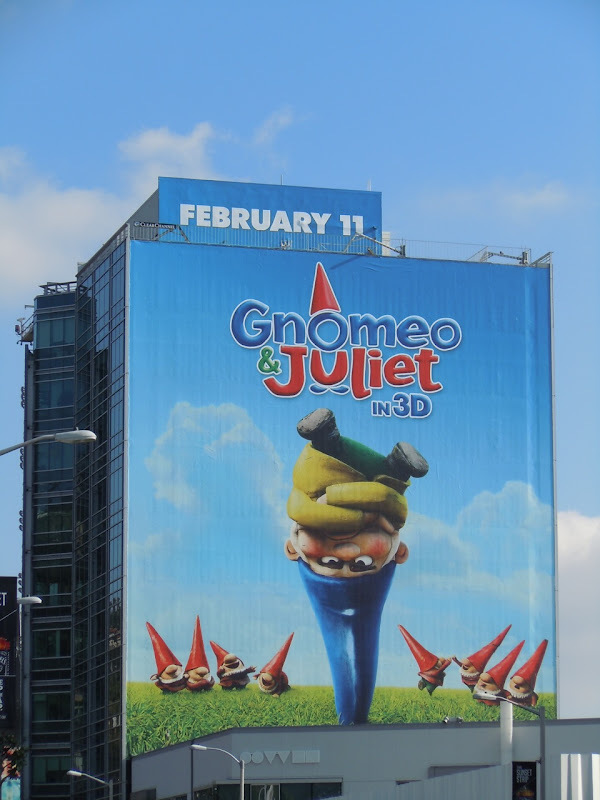 There's nothing like a silly billboard to cheer you up as you drive along and here's a fantastic example provided by the forthcoming animated movie, Gnomeo & Juliet, to help kick off another FILM WEEK here at Daily Billboard. You can imagine that a movie about neighbouring garden gnome clans reenacting Shakespeare's tragic love story is just ripe with amusing imagery. 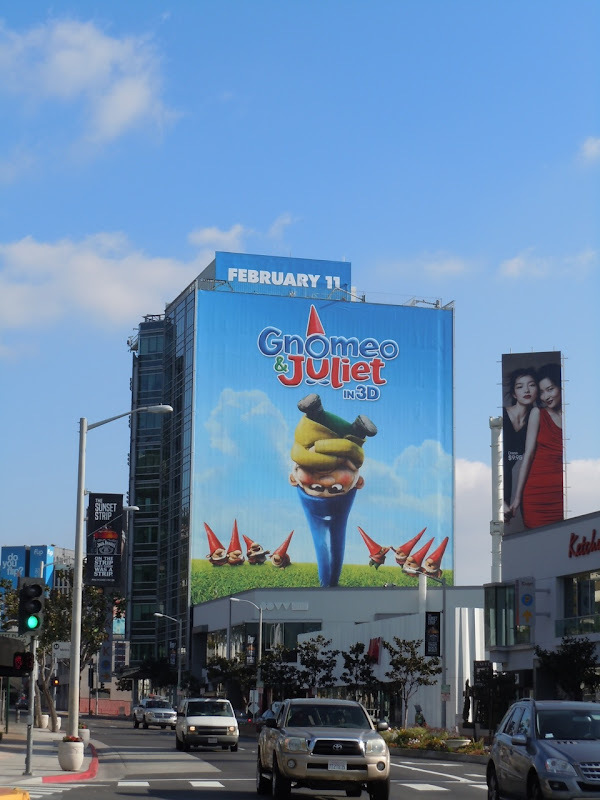 This fun billboard was snapped along L.A.'s Sunset Plaza on January 10, 2011, and as you can see it makes quite an impact even from a distance.